Denise T. Davidoff among Unitarian Universalist Association’s most active volunteer leaders, chairing board from 1993 to 2001 and serving in many roles over 50 years. Denise Taft Davidoff, who did much to shape contemporary Unitarian Universalism through decades of volunteer lay leadership that culminated with her service as UUA moderator from 1993 to 2001, died of cancer on December 7 at her home in Bridgeport, Connecticut. She was 85 years old. Perhaps no UU layperson was so visible to so many over the last half century. She never missed a General Assembly after attending her first of fifty in 1968. (At the most recent GA, she delivered an impassioned appeal to give generously to the Living Tradition Fund.) In addition to presiding over eight Assemblies as moderator, she held leadership positions in a long list of UU groups, preached in more than one hundred congregations, and mentored generations of ministers and lay leaders who are shaping our faith today. When illness overtook her this fall, Davidoff was still hard at work raising money and tending to alumni/ae affairs for Meadville Lombard Theological School, the UU seminary in Chicago, where she earlier had served as a board member and chair. The moderator, Unitarian Universalism’s highest volunteer position, is elected not only to preside at General Assemblies but also to chair the UUA’s Board of Trustees. In this role Davidoff became universally known as “Denny” thanks to her accessible personality and gift for genial unflappability in wielding the gavel in sometimes unruly GA debates. She is also remembered for her productive relationship with UUA President John Buehrens, whose term as top executive coincided with hers as moderator. It was not only through her work in the foreground but also behind the scenes that Davidoff widened Unitarian Universalism’s horizons. Two of her efforts, advancing gender equity and antiracism, lead a long list of her accomplishments. In 1973, as feminism was taking hold in the culture, Davidoff became a board member and later president of the UU Women’s Federation. The federation’s efforts led to revision of the Principles and Sources in 1985, then to the 1993 publication of Singing the Living Tradition, with its pioneering gender-inclusive language. In an oral history recorded in 2011, Davidoff recalled that her antiracism commitment dated to her first General Assembly, when she joined in the debate that roiled the denomination in the late 1960s over how UUs could best work for racial justice. Then, at the 1992 GA, she helped write a resolution that directed congregations to pursue antiracism and multiculturalism, and floor-managed its passage. And as moderator in 1997, she directed debate as delegates voted to adopt a business resolution that established structures and procedures to institutionalize antiracism and multiculturalism in the UUA. As moderator, Davidoff also established the UUA’s Task Force on Socially Responsible Investing, which subsequently became the Socially Responsible Investment Committee, and worked to broaden Unitarian Universalism’s interfaith engagement. Also, she saw the need to simplify the Association’s government structure and make it more open and inclusive, and initiated a task force to explore possibilities. Gini Von Courter, a successor of Davidoff as moderator, shepherded a governance overhaul that fully took effect in June 2017 with the election of the Rev. Susan Frederick-Gray as UUA president. Davidoff grew up in a Conservative Jewish household in the New York City borough of Queens. After college at Vassar she embarked on a successful career in marketing and advertising that led to her own agency, which specialized in branding. She and her husband, Jerry Davidoff, a lawyer and civil liberties advocate, settled in Westport, Connecticut. They both became so active in the denomination that they were joint recipients of the 2006 Award for Distinguished Service to the Cause of Unitarian Universalism. 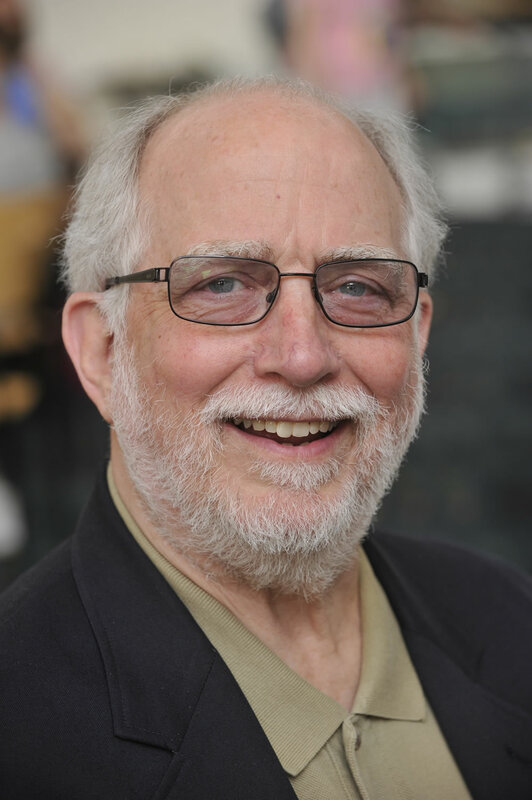 Jerry Davidoff’s UUA volunteer contributions included service on the Ministerial Fellowship Committee, Commission on Appraisal, Elections Review Committee, and Election Campaign Practices Committee. Beyond her service as UUA moderator and as chair of the women’s federation, Davidoff was a trustee of Meadville Lombard and of the UUA, chair of the General Assembly Planning Committee, a member of the Ministerial Fellowship Committee, and chair of the board of the Church of the Larger Fellowship, the congregation for UUs who are isolated from brick-and-mortar congregations. She was also a trustee of the World Conference on Religion and Peace and co-founder and president of the Interfaith Alliance Foundation. Throughout her life, Davidoff’s religious perspective continued to evolve, and in her later years, she said in the oral history, was re-exploring the theistic roots of her childhood. She also had come to value Universalism, and credited the late Rev. Dr. Forrest Church of the Unitarian Church of All Souls in New York for his theological insights about it. Davidoff is survived by two sons, Douglass of Bridgeport and John of Evanston, Illinois, and four grandchildren. Jerry Davidoff died in 2009. Davidoff’s Facebook page is filled with tribute after tribute. John Davidoff announced his mother’s death with a Facebook post on the afternoon of December 7. He said that a memorial service is being planned for sometime in January at the Unitarian Church in Westport. An earlier version of this story incorrectly stated that Davidoff chaired the Meadville Lombard Board of Trustees; she served as a trustee, but not as chair. An earlier version characterized Gini Von Courter as Davidoff’s successor as UUA moderator; Diane Olson served a partial term between them. Tom Stites was the editor of UU World from 1997 to 2006 and retired as its publisher in 2007. He is a member of the First Religious Society of Newburyport, Massachusetts. The Rev. Robert Nelson West led the Unitarian Universalist Association through its most tumultuous period, 1969–1977. From the General Assembly to interfaith justice campaigns, UUA Moderator Denny Davidoff and UUA President John Buehrens have led as a team.